The classic cheeseburger: it’s a beautiful thing. 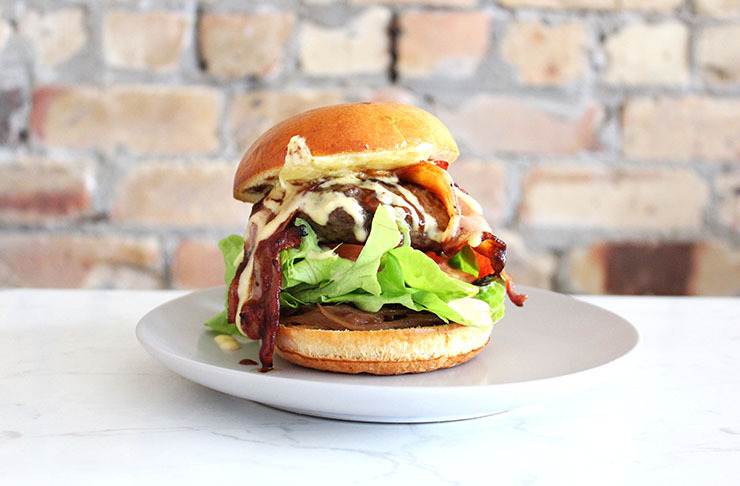 Auckland started flipping out over burgers a couple of years ago and since then, we’ve feasted on all sorts of weird and wonderful burg creations. But the time has come to hunt down the most wonderful cheeseburgers in Auckland—we’re talking perfectly cooked classic patties, melting cheese and all manners of special sauce. 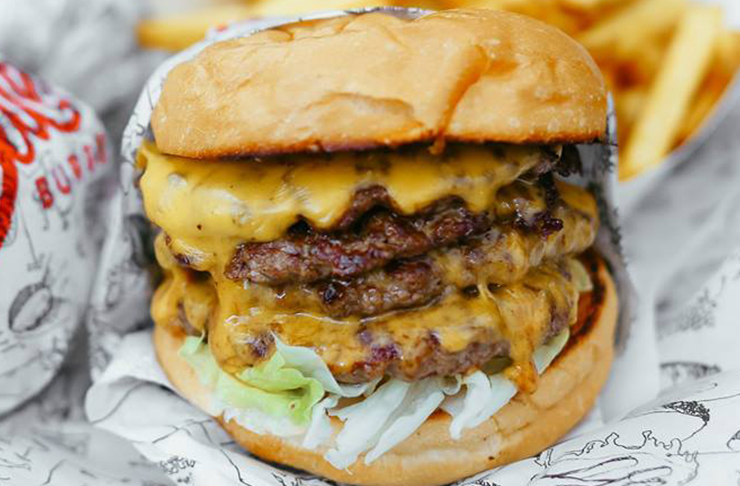 Uh huh, here are the best cheeseburgers in Auckland. Go forth and feast. Burger Burger have blessed us with a new menu where we don’t have to add cheese to their classic beef burg! 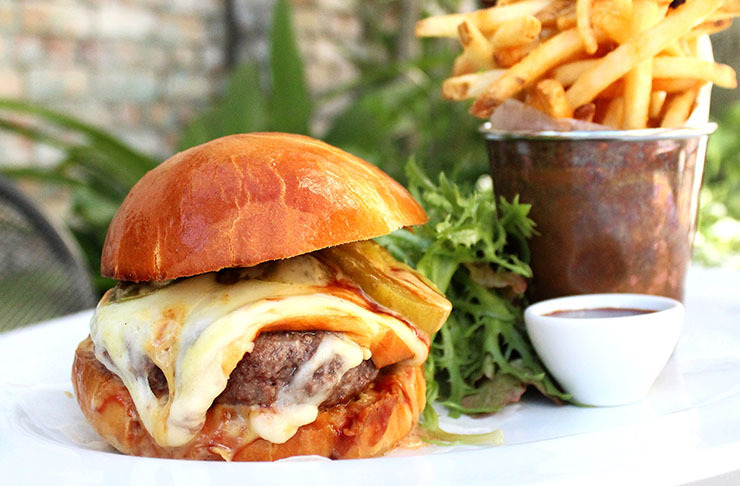 Their beef with cheese comes with grass-fed beef, pickles, tomato jam, mustard, mayo and aged cheddar in a soft brioche bun. It is tops. Beloved Mt Wellington burger joint Big J’s keeps things simple but oh-so delicious with their cheeseburger. Don’t be deceived though—it’s just beef and cheese but is pretty much the size of your head. Better Burger are true experts at executing a solid cheeseburger. It’s an absolute steal and tastes damn fine too. If you’ve never experienced the wonderful union that is kimchi and cheese, then a trip to Tiger Burger is in order. Their Kimcheese burger features grilled beef, sautéed kimchi, aged cheddar and chilli mayo, and it is gooood. Not only does Citizen Park serve up good times in their sunny beer garden, they also dish up one of the best cheeseburgers in Auckland. The Nuff Said burger is made with Angus beef, mozz, pickles, green tomato relish, aioli and Orleans ketchup—it also comes with their famous hashtag fries. With a name like Burger Geek, you’d have to whip up some truly ridiculous burgers. And that’s exactly what this Eden Terrace joint does, infact, they whip up some of the best cheeseburgers in Auckland. Opt for the Morty—Angus and wagyu beef double-smash patties, cheese, pickles, ketchup and mustard. Mmm, mmm. The Garden Shed might be one of the most beautiful eateries in Auckland but it serves up a seriously badass burger. 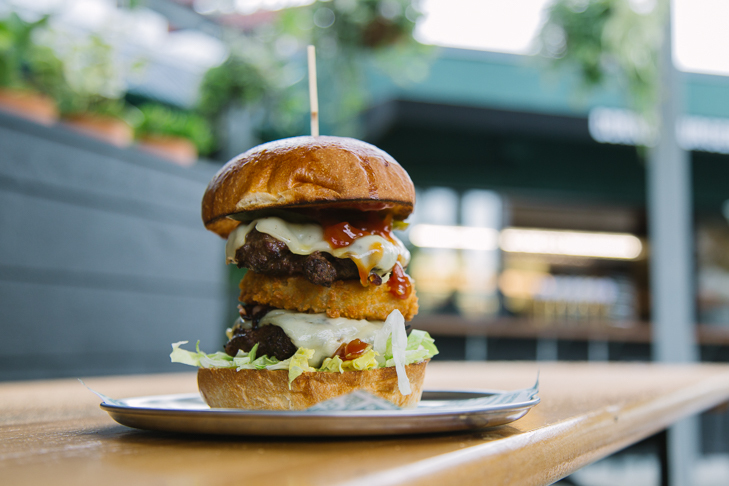 Think beef, cheddar, lettuce, tomato, mustard, sweet and spicy pickles, battered onion rings and Bloody Mary ketchup. It’s so big, it has to be skewered with a knife to stay upright. You can trust Al’s Deli to not only deliver a tasty cheeseburger, but one of the best cheeseburgers in Auckland. Their Bacon and Cheese Furlonger is (no surprises) heavy on the bacon and cheese. Fokker Bros, you’ve done it again. The Fokker Cheese is a must-try for cheeseburger fans and includes Angus beef, lettuce, tomato, aged cheddar, pickled red onions and their special, secret sauce. The drool-worthy Augustus cheeseburger is a mouth-watering masterpiece. Tender beef and indulgent Jamon bacon smothered in smoked mozzarella there’s a lot to love about this gem. 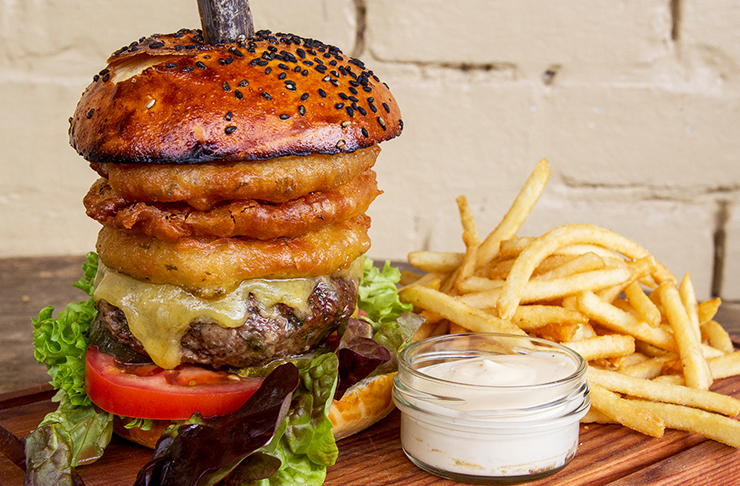 Northcote’s Flaming Onion is burger heaven. For one of the best cheeseburger feats around, we vote you pick is the beef and cheese chocka with flame-grilled beef, tasty cheese, lettuce, tomato, red onion, relish, mustard and mayo. Mt Eden’s newest burger joint, Corner Burger flips the cheeseburger goods in the form of the Corner Classic. It’s a beef patty, cheddar, iceburg, tomato, caramelised balsamic onions, special sauce, mustard aioli and ketchup. Little Easy may be a party pozzy but they also cook a damn fine burger. The Wise Man burger with beef, cheese, lettuce, tomato, bacon, pickles, mustard, onion and aioli is a must. With it's uber cool decor and funky classic American-with-an-exoticly-Asian-twist menu, Happy Boy has a special place in our hearts. They've got their burger game down-pat, with their beef burger that features all the classic trimmings we know and love plus a gooey slice of our beloved cheese.